What It Is: A Pottery Barn Kids recently opened up in my city. To be honest, I haven’t had much reason to visit the pint-sized version of Pottery Barn in the past, but I have featured items from PBKids and PBTeen in the past. But with the arrival of my new niece, I was psyched to enter baby stuff heaven, and totally smitten with what I found. The store specializes in nursery (or child’s room) sets. Most of their furniture is rendered in crisp and classic white, with colour added in through matching linens, toys and accessories. I was truly surprised by the huge range of choices – including basic options like organic cotton bedding versus regular – and the pretty reasonable prices, considering the quality. I do wish there were a handful more gender-neutral nursery options as the styles lean pretty heavily on traditional blue and pink, but the options they offer are lovely – from zebras to simple stripes. I did however, appreciate that the store is designed to grow up with your child – many of their cribs can be converted into child-sized beds, or they can graduate to some of the more ‘grown-up’ room sets once they’re truly little people. Honestly, if you want to create a dream living space for your little ones, look no further. All in all, I’m psyched to see Pottery Barn is expanding its reach in Canada, with more of its sub-brands – Pottery Barn Kids and Teens – opening up more locations across the nation. 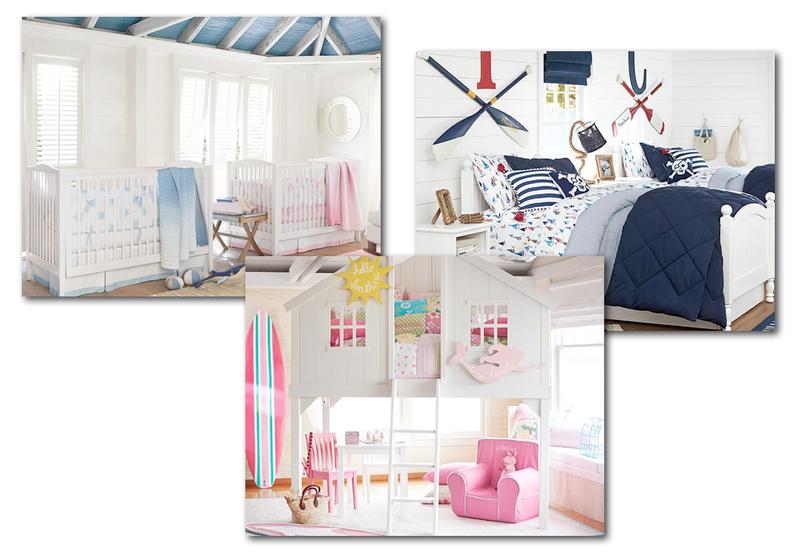 Pottery Barn Kids is a particularly welcome addition given the crazy baby boom right now. I imagine tons of expecting parents will be popping in to craft their registries, and you’ll have no shortage of choices for gift ideas, including toys, coverups, lunch bags, and practical items ahoy. Who It’s For: New parents, be sure to check out Pottery Barn Kids if they’re in your area – they make a great registry choice. And friends / family members, you’ll find plenty of gifting inspiration here if you wanted to treat a loved one to a gift for their tot. What It Costs: Price points at Pottery Barn Kids are middle of the road (as far as I know, not being a baby expert). You’re looking at upwards of $150-$200 for a bedding set, and most furniture hovers around the $1,000 mark, give or take a few hundred. That being said, there are dozens of gift ideas for under $50! Where It’s At: There are now five Pottery Barn Kids shops across Canada, in Vancouver, Calgary, and Toronto. However you can also always browse online, which has the latest designs and TONS of options for customization. BONUS entry into yesterday’s Truefitt & Hill giveaway – tell me in the comments below, what’s your fave item on the Pottery Barn Kids site? So many cute things! But I really love the ‘pink retro kitchen collection’ – adorable! I like the navy and white striped boys chair. I like the teepee with stitching as it would provide so much fun playtime. Thank you. I think the Play in the Park rug is cute and would provide lots of play time with little vehicles. I think my granddaughter would love the Madras Bedding. i think the Tree House bed is cute! I love their mini backpacks! So cute! I like the grey elephant wood plaque a lot because it would go well in my sons room. my only piece of advice is to look at furniture in person before you order. its super expensive and the quality isnt the best. otherwise their linens and baby things are so cute! I love the anywhere chairs.